Part of your outreach and marketing should include public education in the form of articles, blog posts, fact sheets, tips sheets and presentations. Of course, you want them to be accurate and current. If you apply a few advanced search techniques, it's not hard to find high quality information online. However, you need to be mindful in how you use this content. Although articles, images, music and video are easily copied or downloaded, it does not automatically follow that you can legally insert them into your writing, on your website, or in presentations - even if you cite the source. Copyright law is complicated. Some people might violate copyright of their own work, in both scholarly and general-public arenas (such as the case of writer, Jonah Lehrer, who re-used portions of his own writing for which the previous publisher, not Lehrer himself, owned the copyright). Any content that is in the public domain is, by definition, not copyrighted and is free to use without permission or attribution. According to Copyright.gov, "A work of authorship is in the 'public domain' if it is no longer under copyright protection or if it failed to meet the requirements for copyright protection. Works in the public domain may be used freely without the permission of the former copyright owner." How does content end up in the public domain? Anything published prior to 1923 (when current copyright laws in the U.S. were first enacted) is considered in the public domain. This includes the works of Shakespeare, Beethoven, and the Rorschach inkblots. Although current copyright law protects original work for up to 120 years, this was not always the case. Between 1923 and 1964, the copyright holders were required to renew their copyrights within 28 years. If they did not do so, their work fell into the public domain. Most or all of Freud's writing is in the public domain, some due to non-renewal and some because they were published prior to 1923. Authors and artists can dedicate specific items to the public domain either directly by labeling it as such (as in the case of the image on this blog post), or through Creative Commons. Some works are not eligible to be copyrighted. Documents and images produced by the U.S. government (and by many other governments) cannot be owned by any individual or private entity. Examples include publications and images produced by NIMH and by other government agencies. Short, popular phrases taken from movies or songs, such as "Show me the money" or "What's love got to do with it" are free to use without attribution. Facts, theories, ideas and recipes are also non-copyrightable, although the way they are expressed by a writer can be protected. More examples are at the Stanford University library website. The Fair Use section of the U.S. 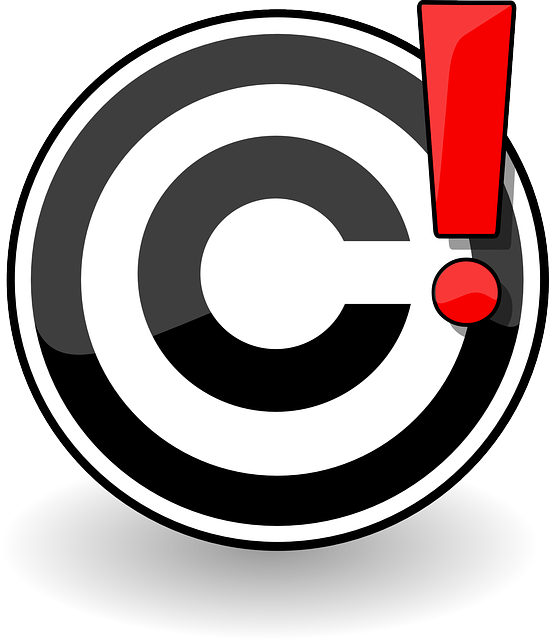 Copyright law allows copying limited parts of copyrighted works under certain conditions - for example, for educational purposes, or when you blog about a recent news article, and quote a couple of lines to make your point. The rules surrounding fair use are imprecise, and have been challenged in court. To prevent inadvertently violating copyright, paraphrase the content and post a link to it. Never copy and paste a photo from a news site unless you have permission to do so. Youtube videos often have embed codes that allow you to stream the video through your website. But make sure that the person who posted the video is the same one who created it. It would be quite easy for someone to illegally record a video for which the embed code was disabled by the creator, and to re-issue it as a new video with an embed code. If you streamed such a video on your site, it would be illegal. Documents can also have embed codes, with the writer's permission. These documents usually appear inside a frame on a web page. If you see an icon or label to embed the content, you can copy and paste the embed code to your own site, and the document can be read there. Creative Commons is an international non-profit organization that provides a platform for authors and artists to share their work with the public and to determine the conditions under which their work can be used. Creative Commons has several ways that authors and artists can license their work. As noted above, some designate specific works as public domain, with no strings attached. Some allow modification of the work (such as cropping a photograph); others specify that their work cannot be used for commercial purposes. All licenses require users to credit the original source. Google images, Flickr and other image search engines have filters to display items that are licensed under Creative Commons. Recently Creative Commons launched CCsearch, which enables you to search for images across several archives. Some music is also licensed under Creative Commons. If you create Youtube videos and need background music, it's safer to use Creative-Commons-licensed work than a commercially popular song. Some people who would never copy and paste someone else's written work, will grab an image from a Google search, unaware that they may be stealing. Just because an image shows up online, does not mean you are free to use it without permission. Images are protected by copyright, just as written works are. You can find free images at websites such as Pixabay and Morguefile (more options here). You can also purchase a subscription to a commercial stock photo site, such as Istockphoto.com or Depositphotos.com. Subscription terms vary, from monthly or annual payments to individual purchases through prepaid credits. You may be able to find special promotions on subscriptions by searching google for stock photos free trial or stock photos promo code. Most of the photos on these subscription sites can be used as many times as you want without paying extra. Also, they can often be used on physical products, such as book covers and T-shirts. Each site has its own terms of service. If you plan to use images for something other than blog posts and social media, make sure that the site allows it within its standard use (rather than more expensive extended use) terms. The use of screenshots may also be covered by the terms of service. For example, Google allows screenshots (with a few exceptions) of search results to be used without permission. Bing's terms of service do not address this. Thus, if you want to use a Bing search-results screenshot for publication, you will need to get permission. In fact, unless permission for any content anywhere is clearly stated, you should not use it without contacting the author or company for permission. For more information and interpretation of copyright law see this collection of links at George Mason University's website. For specific legal questions pertaining to your own work, please consult an attorney who specializes in intellectual property law.